SPY and QQQ look to extend recent gains. 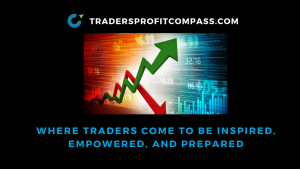 In Today’s Daily Profit Compass market outlook I give you detailed trading plans, key levels and timely commentary to keep you on the right side of the trade. Yesterday, SPY and QQQ broke above key overhead resistance and have them poised to make a further advance. Even though my intermediate term outlook remains bearish, like a couple weeks ago, I think the shorts need to be squeezed out and some longs sucked in before any renewed selling can gain any steam. Additionally, I believe positive outcomes are being anticipated for the G20. IWM took a step back yesterday but bulls are ok as long as price holds $148.50. Upside targets are given in today’s Profit Compass. $CRM and $NTNX had nice earnings last night which may lift software names. Mongo DB is a software name that is threatening to break out and deserves a look on the long side if it can complete the move. Over in Asia, the Hong Kong’s Hang Seng ( $EWH ) has seen its share of pain. After a modest bounce, traders really went after PUTS yesterday indicating they anticipate further declines in the index. Details of the option trades are in the review.